Misty Meadows Mitey Riders is a therapeutic riding program located in Weddington, NC. 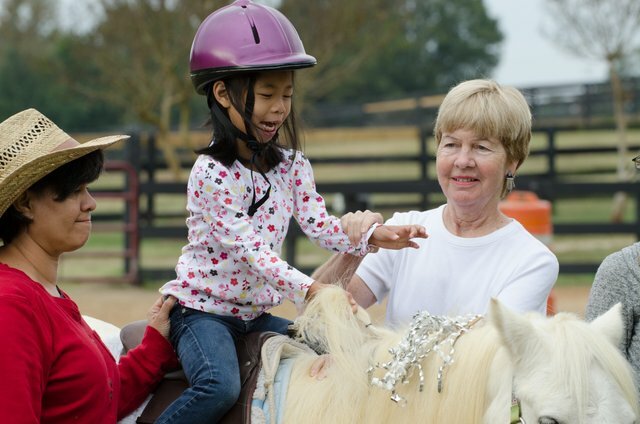 Mitey Riders is home to 5+ PATH International Certified Instructors, 75+ special needs children (and their families! ), and many amazing equine partners. Misty Meadows Mitey Riders is a PATH Intl. Premier Accredited Center. The program operates four days a week with the help of over 200 volunteers. Misty Meadows Mitey Riders, Inc. became a 501(c)(3) organization in 1998, and has offered comprehensive equine therapy sessions to special needs children at no cost to their families for twenty-five years. We invite you to navigate through our web site, learn about our program, our riders, our horses and our objectives. Additionally, we invite you and your family to come visit our program and see for yourself the miracles that can happen on horseback.